The praline is a sugar-coated nut that has been known and enjoyed since the Middle Ages. The nut was “invented” by a man named Lassagne, who was an officer to the table of Marechal du Plessis, duke of Choiseul-Paslin. The story goes that Lassagne found his children with a cache of stolen nuts. They’d applied a light glaze to them, which produced a sweet-smelling aroma that gave away their secret. He promised not to punish them if they would give him some of their treats, and the first pralines were born. Lassagne then had his own cooks perfect the recipe before he presented the dessert at the court of Louis XIII. Another, less verified story is that one of Lassagne’s servants dropped the nuts into a vat of caramel. Whichever holds true, both stories have the same ending. Lassagne retired to the countryside to produce the nuts full-time. These sugared almonds play an important role in formal situations, especially weddings and christenings. They are believed to symbolize good fortune, a custom which remains strong in France and Greece. They are also given out at New Years, a symbol that the mouth and life of a person will remain sweet for the coming year. 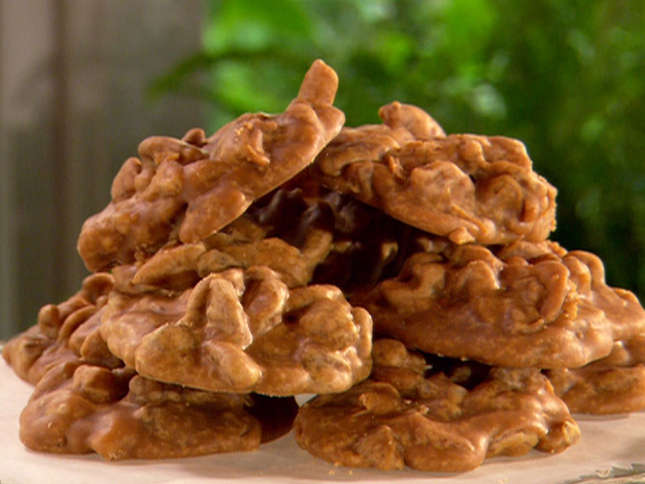 Today, pralines are a favorite of Southern cuisine in America. Although the appearance is somewhat different from pralines of yesterday. American recipes call for the mix of almonds and sugar to be pounded into a crumb-like texture.